I am Martin Sech, and until the start of summer, I will be doing my master thesis here which involves energy optimization of Insplorion’s air quality sensor. Since my background is within nanotechonology, I naturally found Insplorion interesting as a company, seeing as it is turning the possibilities of nanoscience into reality. Therefore I’m especially excited about working with their air quality sensor, which is a prime example of an innovative application within the nano-field. I also believe that the technology our society develops today will be a key to solve the challenges we will face in the future, as well as the challenges we are currently facing. So, to be able to personally contribute to something that can help us monitor air pollution and protect our health is quite special for me. I have only been at Insplorion for a little while, but I can already tell that I will learn a lot here. These coming months will be challenging, but they will for sure be equally rewarding. 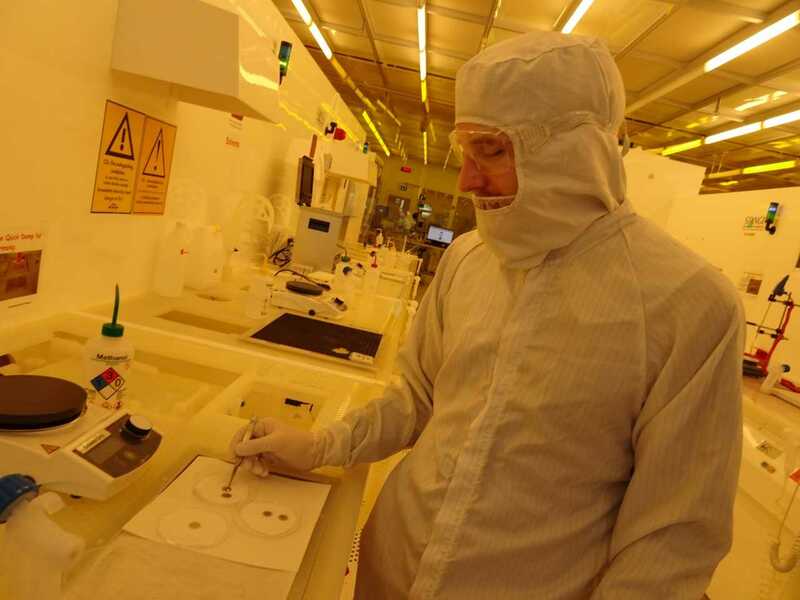 Here I am in the cleanroom checking out some of Insplorion’s sensors!